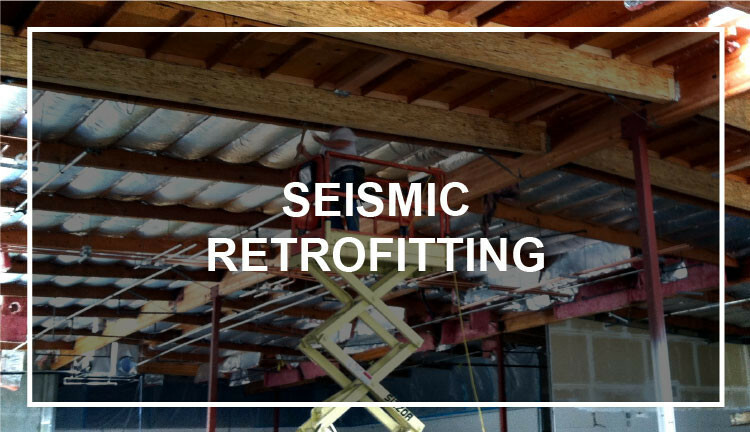 A Seismic Retrofit provides existing structures with more resistance to seismic activity due to earthquakes. In buildings, this process typically includes strengthening weak connections found in roof to wall connections, continuity ties, shear walls and the roof diaphragm. energy dissipation capacity of the structure. Conventional as well as emerging retrofit methods are briefly presented in the following subsections. Marketability of a building is improved. Buyers are attracted to the security a seismic retrofit provides to tenants. The number of potential lenders increases when the Probable Maximum Loss (PML) is low. More lenders can mean more buyers! (Not to mention, most lenders do not lend on a building with a PML over 20). The risk of injury and legal litigation is reduced. Owners can lose substantial amounts of money if it can be proven they were aware a building needed structural work, but had no plan in place to correct the problem. No amount of insurance coverage will probably cover successful litigation against negligence. A thorough seismic retrofit provides peace of mind and asset protection. Earthquake coverage can be reduced. A lower coverage cap can reduce premiums. (At this time, some insurance companies do not recognize the PML of a building). Lenders who request a PML of less than 20% are usually satisfied when a thorough and professional seismic retrofit has been completed. Insurance companies in the future may not write coverage for earthquakes due to past losses and other events. Rates have increased 3 to 6 times the rate charged since 2005! Tenants who consider the operation of the building critical to the survivability of their businesses feel more secure and will remain in occupancy contracts for longer periods.